This December, Toronto is buzzing with festive activities. Celebrate the holiday season and ring in the new year with these top picks for December fun, or check out the full calendar of events here. Visit a European Christmas market right in the heart of Toronto. 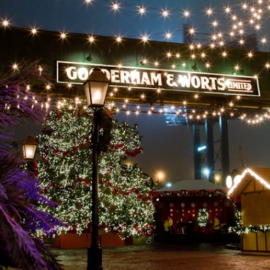 Open until December 23, Toronto's annual Christmas market is set in the cobblestone-lined Distillery Historic District and brings together local craftspeople, musicians, and artisanal food-makers for a charming and festive experience. Enjoy mulled wine and holiday treats, browse the selection of hand-made ornaments, wood carvings, and crafts, and take in carolers, brass bands, and authentic European dancers. Admission is free Tuesday through Friday and is $6.00 Friday evenings and weekends. One of Toronto's premier visitor attractions, the Hockey Hall of Fame showcases the best of Canada's national sport. Be sure to stop by in December to view the Hall's exhibit in honour of the centennial of the National Hockey League, which is on view until early January 2018. Experience this immersive tribute to one hundred years of NHL hockey, highlighting the most memorable players and moments in league history. Hockey fans can see iconic pieces of memorabilia, including Bobby Orr's infamous knee brace and Jacques Plante's iconic goalie mask. Enjoy a night at the theatre at Toronto's iconic Ed Mirvish Theatre. On stage until December 24, Jim Steinman's Bat Out of Hell tells the story of young, rebellious leader Strat who falls in love with Raven, the beautiful daughter of the most powerful man in post-apocalyptic Obsidian. Originally written as a musical, Bat Out of Hell went on to become one of the most successful rock-and-roll albums of all time and has now been produced for its original theatrical setting. 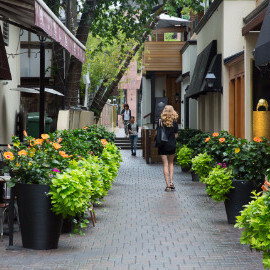 During November and December, the famous Bloor-Yorkville becomes an iconic destination for holiday shopping. Even visitors without the budget for the neighbourhood's upscale and expensive boutiques will enjoy a stroll down the "Mink Mile", which is adorned with lights and festive window displays throughout the month. Vikings have arrived at the Royal Ontario Museum. On view until April 2, 2018, this new exhibition explores the myths and stereotypes about the ancient Vikings. Learn about the lifestyle, religion, and daily lives of these legendary explorers, artisans, and craftspeople, view this astonishing collection of artifacts, rarely displayed outside of Scandinavia, and participate in talks, tours, and other special events held throughout the exhibit's run.